Steeped in tradition, strawberries are an essential part of the English summer. The juicy red fruits can be raised in garden planters, hanging baskets as well as the traditional strawberry patch. Give strawberries their heart’s desire. How big a patch do you need: It really depends on how many strawberries you want. A single six-metre row will keep a family fed through the season, or if you’re on your own, plant up a strawberry pot. Plant early in the season: A stem from an axillary bud that grows on the surface and forms roots to produce a new plant is called a stolon. Replant these from your strawberry patch from July onwards until the end of August. If you can propagate from an existing plant, you will have an advantage over those who have to buy young plants, since they are only available in garden centres in September and October. Strawberry plants develop roots and accumulate food reserves between the time of planting and the winter, so if they are planted late, or worse still in spring, they will not be productive in their first year. 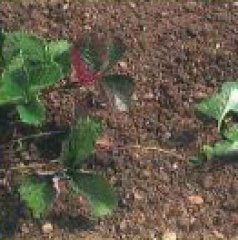 The right depth: Strawberry plants should not be planted deep in the ground. 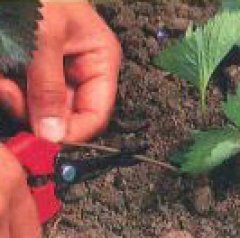 Ensure that the crown �the boundary between the roots and the head of leaves � is just above the soil surface. Dig a fairly wide hole, and spread out the roots before covering them with soil and packing it down. No matter how many you have to plant, don’t be tempted to use a dibber as the holes will be too narrow. Rediscover the old flavours: Study specialist catalogues to track down those old-fashioned strawberry varieties that were created above all else to please the palate. Their tender fruit is best savoured fresh from the garden. 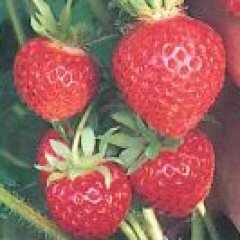 Old varieties of strawberry include ‘Royal Sovereign’ (early), ‘Redgauntlet’ (midseason) and ‘Talisman’ (late). Modern varieties: More recent varieties have been bred to grow vigorously, resist disease and improve fruit appearance, but often at the expense of the flavour. New varieties that are readily available include ‘Calypso’, ‘Gorella’ and ‘Elvira’. 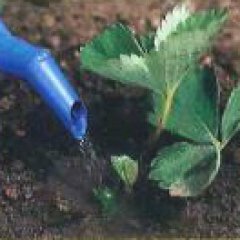 Delicate seedlings: When up�rooted from the ground, young strawberry plants are quick to dry out. Do not leave them lying around in the sun. Instead, put their roots straight into a mixture of potting compost and water, and plant them again as soon as possible. Plant your strawberries on a ridge: If the soil in your garden is heavy and wet, it is not the ideal situation for growing strawberries. So when you prepare your strawberry patch, make sure you provide well-drained soil for the roots. For a double line of plants, build up a flat-topped ridge of soil about 20cm high and one metre wide, and set the plants in that. Strawberries on the patio: All is not lost if you love strawberries but have only a balcony or a patio. 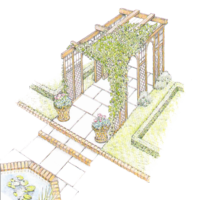 You can grow them in special strawberry pots with honeycomb cavities, in a graduated stack of terracotta pots, or in large tubs or planters filled with a mixture of well-decomposed compost and sand, or rich but light earth. Place them in a fairly shady spot, make sure that they never lack water, and regularly remove the stolons so that the plants do not become exhausted. Enjoy the crop � but don’t expect to have enough to make jam. fact, rare for strawberries to produce two harvests worthy of the name. 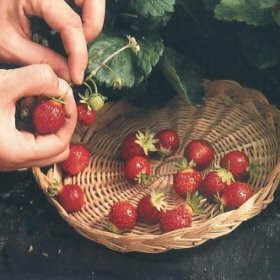 Sacrifice the first flowers, which are supposed to provide a spring crop, in order to improve the second crop, and consider the double�cropping strawberry plant simply as a single�cropping one that bears fruit later than the actual single-cropping varieties. 1. 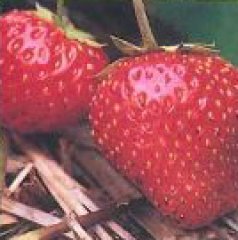 Cambridge Favourite: An early strawberry producing large, firm fruit for a long period in midsummer; a vigorous and reliable plant. Elsanta: An early cropper whose Fruits are often sold commercially, but taste better when eaten straight from the plant. Fruits are ready for picking from late spring to midsummer. 2. Aromel : A double cropper with Fruits in June�July and August�September. Symphony: A late variety, perfect if you like to have strawberries beyond the Wimbledon season. Not a fussy plant,so a great option for less than ideal growing conditions. It has an outstanding flavour. At home in the woods: Originally the strawberry grew in forest clearings, which is why it particularly likes the rather acidic qualities of tree humus. 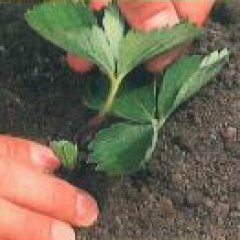 Fertilise your strawberry patch by spreading a generous layer of leaf�mould over it. A reliable old-fashioned tip is to cover the soil between the stalks of the plants with conifer needles, ferns and ground pine bark or, failing that, a good layer of straw. This porous carpet has the added advantages of discouraging weeds and purifying the surface of the soil so that your strawberry plants will be less vulnerable to grey mould and slugs. Take off leaves: The leaf diseases that strike strawberry plants occur in late autumn. So, as soon as possible after the harvest, clip off their leaves, taking care to cut high enough not to touch the heart of the plants. Your plants will soon start to grow healthy new leaves. Susceptibility to weeds: One of the big problems with growing strawberry plants is their vulnerability to vigorous weeds such as convolvulus, couch grass and buttercups. The plants are suffocated by the weeds, their fruit is deprived of sunlight and their soil loses its richness. If weeds start to become a problem in your strawberry patch you may have to move it to a new, weed�free site. Combination planting: Use the soft, loose soil between two rows of strawberry plants for a line of spinach, white onions or lettuces: crops that are not greedy and will not rob the strawberry plants of nutrients. Keep their hats on: Never hull strawberries before washing them. If you do, the berries soak up water, which spoils their delicious flavour. 1. When they appear, select the best young shoots on the runners growing from the strawberry plants you have decided to use. 2. 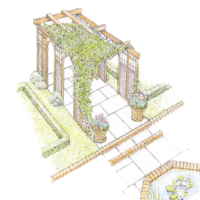 Lift the shoots out of the ground with a trowel and detach them by cutting the runner on either side with a pair of secateurs. 3. Keeping as much earth as possible around their roots, move the shoots to where they are to be planted, and replant them immediately. 4. When replanting, ensure that the crown is not buried, and then water the shoots generously.